This traditional ladies wedding ring is a stunning, contemporary wedding ring which truly symbolizes your unique love! Perfectly suited for men with a contemporary style. Simply customize the ring to your liking. Our goldsmith would take on any challenge of creating a perfect ring and will work on your ring, designed by you, in our own artisan studio. He will carefully and passionately create your WH2150L25AM ±5x1.7 mm wedding ring by hand whilst using the most modern techniques, combined with pure craftsmanship. And this results in a unique, contemporary ring! This traditional WH2150L25AM wedding ring is set with round pink sapphire is ±5 mm wide and has a matte finish. After designing your ring, our jewel designer will start working on it. 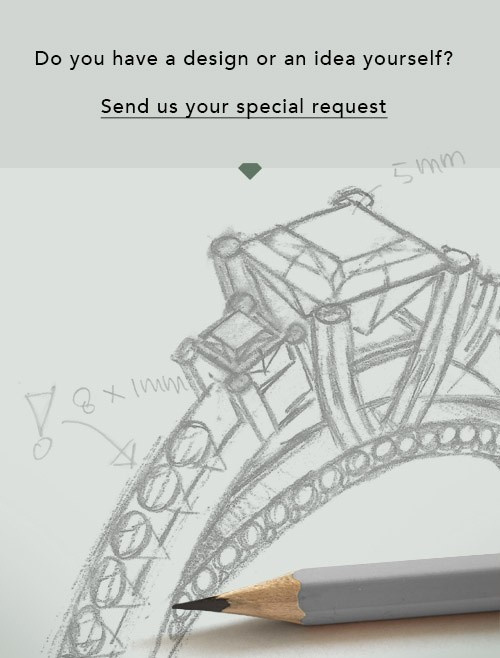 He will make a graphic 3D design of your wedding ring. This can also be used to make a dummy ring. Simply order a dummy ring and see for yourself how your ring will turn out. Subsequently, our expert goldsmith will create your ring in our own artisan studio. We use eco-friendly gold, so you get a ring, we are proud of, which looks good inside and out. You can also send us your own gold. Because we create your ring by hand, we can use your own gold. 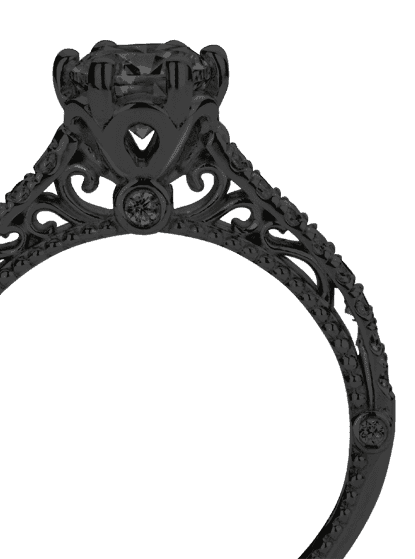 Our goal is to create an exquisite sparkling wedding ring just as envisioned it! After receiving your order, our goldsmiths will start the creative process of making your wedding rings. We don't keep stock. This is advantageous because these costs will not be passed on to you. Therefore, our quality wedding rings are always priced 30 percent lower than those of other jewelers.